Android is the most using operating system for cell phones and for tablets now a days. It doesn’t matter whether you have some expensive one cell phone or tablet with a better technology or a light one with a few functions, you’ll find android every where. So due to the increasing rate of the users day by day, the chances of malwares & viruses for android apps are also increasing. Also you may be surprised with the fact the android is the only most used OS in cell phones and in tables that have a large number of malware apps in its Google App Store. So what I’m offering you today? What if you buy an android mobile/tablet and in happiness you go the Google App Store to download its applications or games and unfortunately you may download a virus. And what if you buy an Android mobile/tablet and go to the App Store and Google Play restricts you for that file to download or it says you to connect your android mobile/tablet or your gmail account. 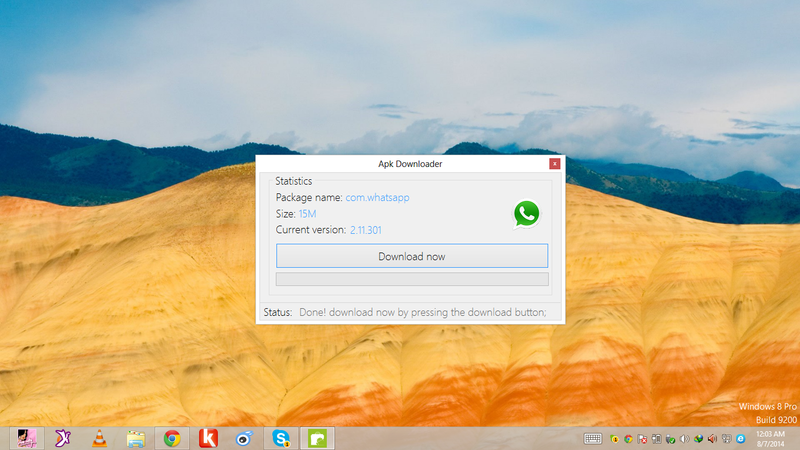 Android APK Downloader for Windows. It downloads android applications of your own choise with out connecting your mobiles,tablets to laptops, with out signing in into gmail or also it doesn’t interrupt you due to the android model you’re using for that particular app. It downloads apps even faster because of over high and expanded servers in the world. What windows version it supports? It supports both 32 bit and 64 bit windows versions. You can run/use it on win xp , vista, win 7, 8 and 8.1 platform. How i can install it on mobile? After downloaded just connect your Android mobile or Tablet to your Laptop/PC Via USB data-cable and Copy the downloaded (APK) file from your application directory ../downloaded folder and paste it in any directory folder on your connected Android mobile or Tablet and then Unplug your Mobile or Tablet from your Laptop/PC and Install the saved/pasted (APK) application file from your Mobile or Tablet directory folder by clicking. Woola!! Stay Tone! 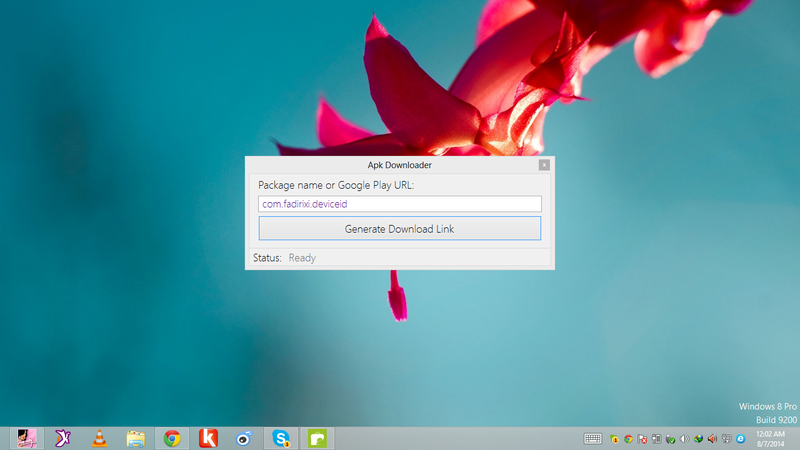 One click (APK Installer) application for it is coming soon. Stay update to this blog for all info. (New) Bonus How to use it?